This is the first time Ansari has publicly condemned the violence on the AMU campus. Ansari also thanked the AMUSU for conferring the lifetime membership on him. 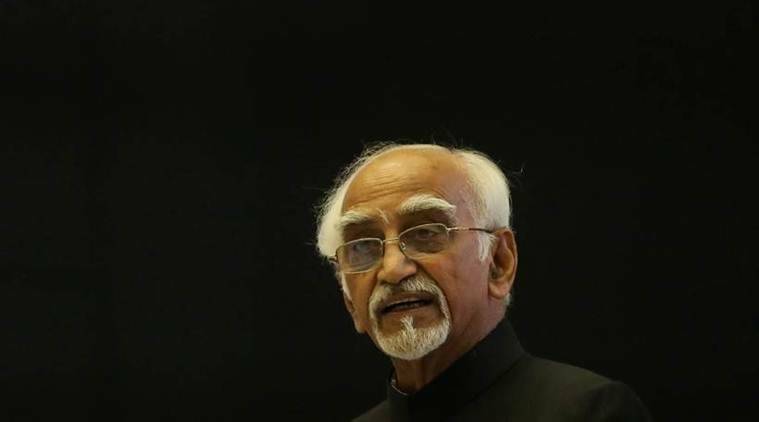 Breaking his silence over the controversy on Mohammad Ali Jinnah’s portrait, former vice president Hamid Ansari has questioned the “precise timing” of the protests in Aligarh Muslim University and the “excuse manufactured for justifying it”. In a letter addressed to AMU Students’ Union (AMUSU) president Maskoor Ahmad, the former vice president said: “The disruption, its precise timing, and the excuse manufactured for justifying it, raises questions.” On May 2, a group of right-wing students had entered the AMU campus to protest against the display of a portrait of Jinnah, the founder of Pakistan, on the walls of the AMUSU office. Ansari was scheduled to deliver a speech and be awarded a lifetime membership of AMUSU on the day. Condemning the violence, Ansari said the programme of the day, including an address by him at the Kennedy Auditorium, was publicly known and the authorities concerned had been officially intimated about the standard arrangements, including security for the occasions. This is the first time Ansari has publicly condemned the violence on the AMU campus. Ansari also thanked the AMUSU for conferring the lifetime membership on him. “However, disruptions earlier that afternoon by intruders and anti-social elements inimical to the AMU resulted in the cancelling of the event. This has been rightly condemned by students,” he said.